This visa is given to tourists visiting Australia. The permit is valid for one year equivalent to twelve months. With this Authorization, one can stay in Australia for a maximum of three months from the arrival date. It works the same way as the Australian Electronic Travel Authority tourist visa. It is mainly issued to business people who tour Australia for business purposes. It permits you to visit Australia for up to three months to finish up business. There is also an evictor business ETA subclass 651-B for those who come to visit on a business mission. The visa is eligible for negotiating and searching business opportunities and attending meetings at conferences. One can stay in Australia for up to three months with this ETA and is valid for a time frame of twelve months from the time of application. Only those from eligible countries are advised to apply. Each passport holder must have their own ETA Visa. Please have the passport details for each traveller ready. For those whose countries are not listed on the ETA list eligibility, they will have to contact their countries embassies and high commissioners. British subjects, British protected persons, and British overseas citizens are among those not eligible for this and are therefore advised to apply for subclass 600. Step - 1 General information - You have to make sure to provide your general information including the valid email id as your visa confirmation will be sent to that email electronically. Step - 2 Visitor(s) information - You have to provide visitor(s) information which is true and correct as to the best of your knowledge and same as appeared in the passport. You have opportunity to preview and modify applicant(s) information to submit with zero mistake. Step - 3 Make payment - You are making payment to process your application. Once you make payment your aplication will be in the queue and processed with due manner. You will then receive an email confirmation of your visa directly from Australian Electronic Travel Authority with visa grant number. 3) The information you enter into the australiaeta.com.sg website is treated in confidence and will not be distributed or sold under any circumstances. 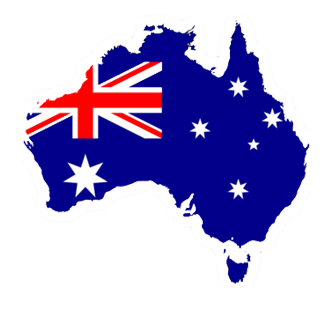 By entering personal information into this website you authorize australiaeta.com.sg to use and hold this information for the purpose of applying for an Electronic Travel Authority to Australia.